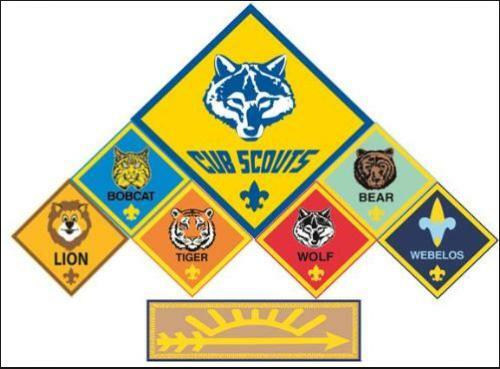 If you are a boy or girl in kindergarten through fifth grade - or you're 7 to 10 years old - then Cub Scouting is for you! It's for your family, too! Every Cub Scout is a member of a Cub Scout Pack. A Pack is a large group of scouts that is divided into smaller groups called Dens. Dens meet weekly with their individual leaders and the entire Pack comes together monthly to celebrate their individual achievements. Each Cub Scout Pack belongs to a church, a school, or some other community group, which is known as their Charter Organization. Cub Scout Pack 4094 is chartered by Annunciation Parish here in Green Bay. Interested in Joining Cub Scout Pack 4094? Click on the "Contact Our Pack" link at the top of the page, tell us your child's age/grade, the best way to get in touch with you, and we'll put you in touch with the correct Den leader. If you are a parent or adult partner, please click on the link "Member Login" above and enter the username and password that was emailed to you when you joined. This will give you access to the Private Site and Event Calendar. If you have not received an email containing your username and password, please click on the link "Contact Our Pack" above and let us know.